Dong Thap (VNA) – The Mekong Delta province of Dong Thap is running 19 foreign direct investment projects worth nearly 4.74 trillion VND (208.56 million USD), mainly in cattle feed, acquaculture, garment-textile and rice exports. Wenzhou Hendy Mechanism & Plastics Co., Ltd. is the biggest project in the province with 953 billion VND injected in building a plastic factory in the province. It is followed by Mavin Austfeed joint venture company, which poured more than 675 billion VND into a cattle and aquatic feed plant. 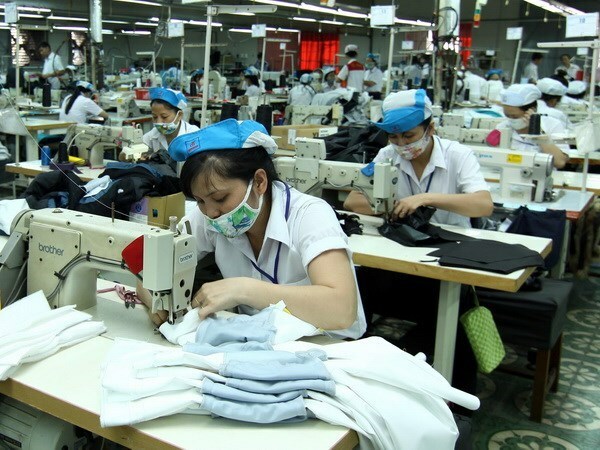 Director of the provincial Department of Planning and Investment Truong Hoai Chau said the province is willing to create the most favourable conditions for businesses to invest. The locality has lured several big investors from Australia, China’s Taiwan, Russia and the Republic of Korea in recent years. It focuses on improving infrastructure at industrial clusters and devising policies to create a healthy business environment and better the quality of public services. The province has also supported investors to process special farm produce such as rice, fruit and tra fish. Local authorities have used clean land to attract foreign investors and upgraded and expanded roads to industrial parks to facilitate goods transporting. Wenzhou Hendy Mechanism & Plastics Co.